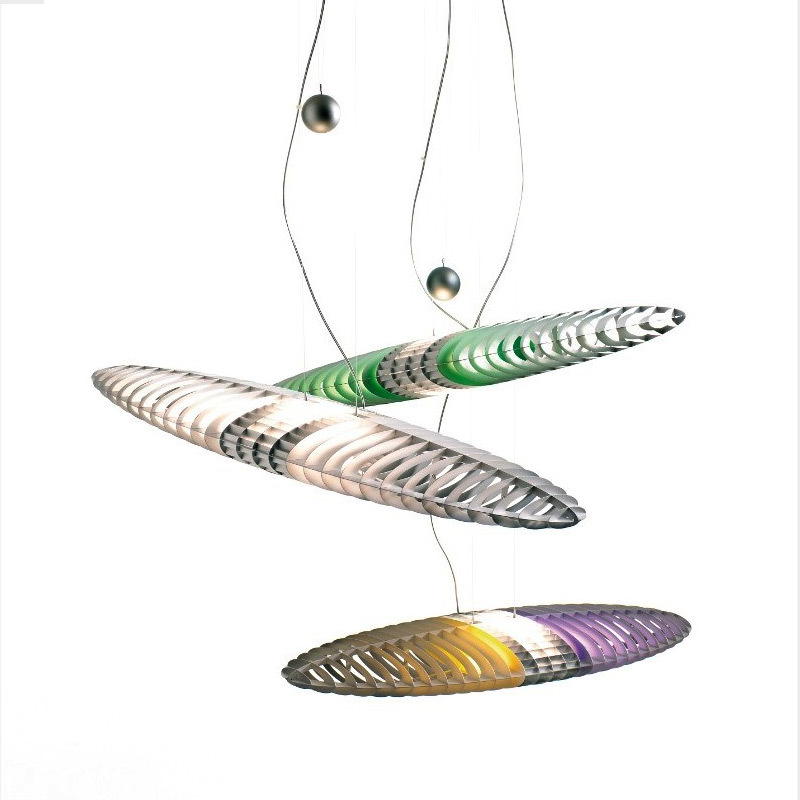 The Titania suspended light was created by Alberto Meda and Paolo Rizzatto in 1989 for Luceplan. The ellictical body of the lamp is the centre of this lighting masterpiece. Aluminium lamellas can be installed on multiple places and blend and spread the light in diverse manners. A special clou are the five filter pairs in yellow, green, light blue, purple and red which can be used to create an individual and special illumination. The great thing about this is that only the lateral light is being coloured so that the upwards light stays clear and bright. The Titania appears like a flying object from another world when it seems to glide through the room, emitting its clear and friedly light vertically and the coloured glow horizontally. Operated in series circuit this work of art develops its whole beauty and grace, making it clear to the observer that light is not always light. The frame of Luceplans suspended light is made of premium steel and illustrates a balanced contrast to the aluminium lamellas. With the integrated counterweight the lenght of the pendulum is extendable as far as 300 cm – Titania: perfect.